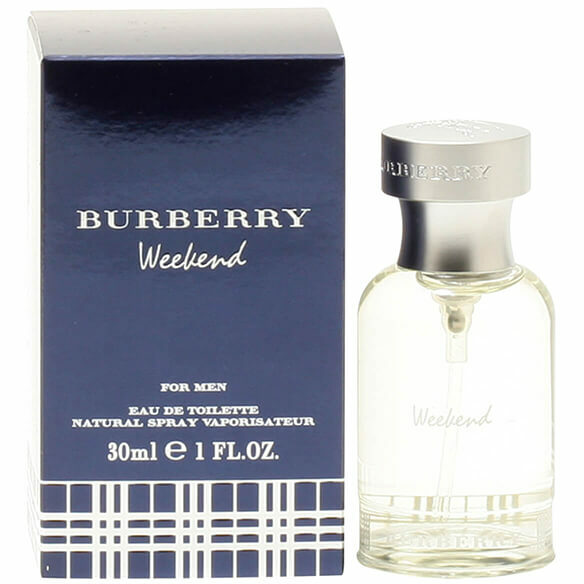 Weekend by Burberry for men is for all those casual times when a powerful scent is just too much. The perfect men's fragrance for weekend getaways, day trips and outings with friends, it's lightly sweet aroma makes it a relaxing and comfortable fragrance for men. Features top notes of mandarin orange, lemon, grapefruit and bergamot, middle notes of ivy leaves, oakmoss and sandalwood and base notes of honey and amber. An EDT spray. 1 fl. oz. No express shipping. No shipping to PO boxes.